Guitars, just like any other string-instrument needs proper care and maintenance. Dirt, humidity and unintentional abrasions and scrapes can cause the guitar lose its tone and value. Whether you are a professional guitarist or a hobbyist, you need to make sure that you handle your instrument with caution. Eventually as time pass by and you let grime accumulate on your guitar, your instrument becomes difficult to use and aesthetically unpleasing to the eyes. Protect and preserve your guitar with these following tips on how to clean a guitar and its parts with care. Before proceeding to the steps of proper guitar cleaning, you need to make sure you use the right products. Remember, guitars are usually made of wood. The wood is stained with wood finish then coated with varnish and lastly polished with wax. Certain products can cause the polish to thin out and the wood to crack. Most of the right products needed to clean a guitar and its parts can be found right at home. Do not use any alternative unless it is stated. The cloths will be used separately. Each cloth has a specific purpose. It is advisable to use a lint free cloth to prevent micro scratches on your guitar. You can buy lint free cloths at any hardware store. If you prefer to save money for the other materials, you can use an old pure cotton shirt instead. Lemon oil is a conditioner perfect for cleaning the fret board. This oil will pick up the excess dirt that has not been thoroughly removed by water. Lemon oil will not stain the fret broad. In addition to that, it will not also cause the frets to loosen up. You can purchase lemon oil at major drugstores. You can also buy this essential oil online. Guitar polish is very important in maintaining the finish of the guitar’s body. It will add extra shine to the guitar. A good alternative for guitar polish is car wax. If your strings are dirty, better toss it and buy a new set. If you are looking for a cheaper alternative than buying a new one, you can clean your old set using ethyl-alcohol. You will use this to clean the intricate areas of your guitar. Prepare 2 old toothbrushes. One is used dry, while the other is not. Your guitar’s built-in pickup will need cleaning too since accumulated dirt can destroy it. An old toothbrush is the most ideal material to use to remove build-up. 1 part of liquid soap with 2 parts of water. This will be used to soak in the small plastic parts like the nut, saddle and string pegs. Also used for nylon strings. First things first, follow this tutorial to clean your instrument. Once you finish all the steps, time to go for the parts. Bring out all the materials needed. Sort out all the different colored lint free cloths. Spray the first lint free cloth with water. Make sure that the cloth is not too wet. Soak the second cloth with lemon oil. Sprinkle the third cloth with guitar polish. Let the fourth cloth remain dry since you will be using it to remove the excess liquid used to clean the guitar. 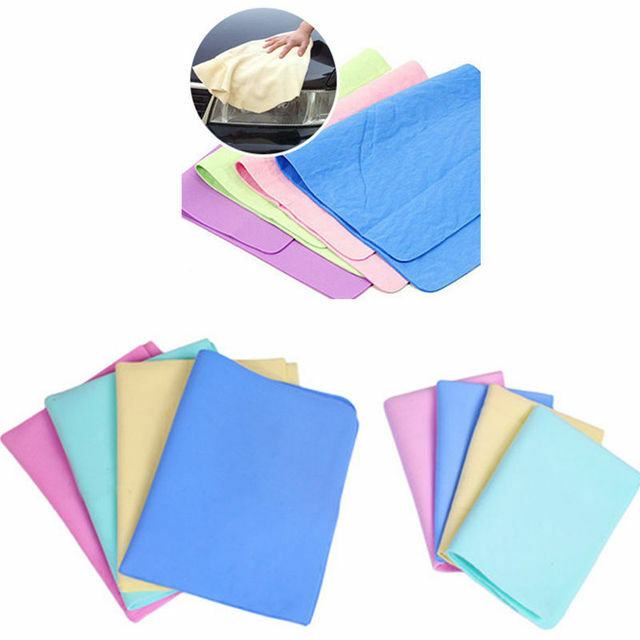 After categorizing the 4 different colored lint free cloths, set them aside for later use. Bring out your guitar from its case. Remove all the 6 strings by loosening up the tuning keys. Do not throw out the strings if you choose to reuse them. Take out the nut, the saddle and the string pegs. Soak these small parts in the water with liquid soap. Use one of the old toothbrushes to clean them. Once they are washed, dry them in one place and do not lose them. Take your damp lint free cloth and wipe the whole guitar with it including the head, tuning keys, the neck, the body and the back. Get your dry lint free cloth and wipe the excess water immediately. The next step is to use the lint free cloth soaked in lemon oil. Use this to clean your guitar’s fretboard. For a spotless neck, use a Q-tip to remove the extra dirt and grime on the frets. Wipe the excess with the dry lint free cloth. Time to clean the head. You will use Q-tips to tidy up the guitar’s head. This is the most detailed part of your guitar. You will have to be very meticulous in order to have the head thoroughly cleaned. Now that you have cleaned your guitar’s head, time to dedicate the cleaning to its body. The body of the guitar is the easiest part to clean. Use the lint free cloth with guitar polish. Wipe the whole body; do not omit the sides and the back. Do this step until your guitar is spotless. After all these steps and you have assured that your guitar is extra shiny and clean, devote your time in cleaning the other parts. This section is for electric guitar type. There are 2 different types of a guitar’s pickup. There is the built-in pickup and there is the detachable one. The detachable kind is easy to clean. Just wipe it with a dry lint free cloth and you are done. However, the built-in pickup can be difficult to handle. You need to be more careful and sensitive. Here are the steps to follow to make sure you preserve your pickup’s life. Get one of the old toothbrushes. Make sure it is the dry one. Use this toothbrush to clean the pickup thoroughly. Remove the dust carefully. Brush it lightly. Do not put any moisture on your guitar’s pickup. Wipe the loosened up dirt with the dry lint-free cloth. Professional guitarists rarely reuse their strings because in time, the strings lose their playability. Although if you prefer to save your budget and just clean them, follow these 3 simple steps. Note: If you use steel strings, just wipe them with the dry lint free cloth and you are done. The following tips are ideal for nylon strings. Soak your strings in water with liquid soap. Once the dirt loosen up, take them out. Put ethyl alcohol in an empty bowl and soak your strings on it. Take them out immediately and wipe the strings with the dry cloth. Once the strings are completely dry, reassemble all the guitar’s parts and make sure to put your instrument back to its case. Your guitar is an investment. Make sure to take care of it. 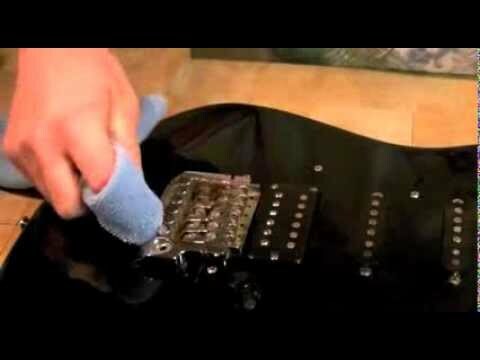 It is very important to follow the steps on this tutorial to prolong your guitar’s worth. You can thoroughly clean your guitar once every three months. However, you should wipe your guitar after every time you play it. Keep it safe by storing it in its case to prevent humidity and dirt built-up. Some of the materials used to clean a guitar can be a bit pricey. If you have recommendations for other alternatives, mention it in the comments’ section below.